The debate over letting women drive in Saudi heats up. Local comedians remix Bob Marley and receive over 9 million hits on Youtube. 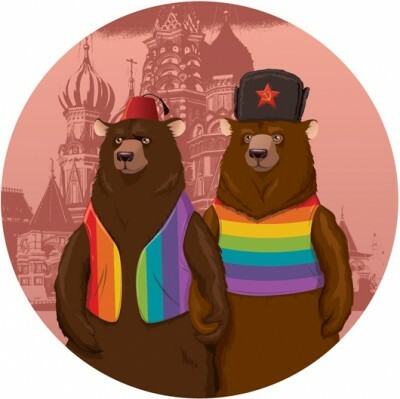 Illustrators outside of Russia show solidarity for the LGBT community within. Lots. Of. Awesome. Art. Produced. Bulgarian university students hashtag up to protest government corruption. Follow #occupySU for more. 17 Deplorable Examples of White Privilege. The world of socially conscious listicles begins! A Chrome plug-in that randomly redirects you to more world news. Inspired by Zuckerman’s Rewire, created by West Space Journal. Tufekci argues that social media is great at stirring up awareness, but at the peril of building up a way to win. Egypt’s “Jon Stewart” is sued and censored. Not a good sign of how things are going. Images of Smoke Above Tiananmen Deleted From Chinese Social Network. Well that’s no surprise. The Italian Government is trying to pass a law to allow them to delete without court approval. That and more over at this week’s Netizen Report.